a clean and well-managed facility. Welcome to the Carson Valley Swim Center! Please note that we do offer “Military Membership Discounts.” Please call us for more details or talk to the front counter the next time you are here. Click Here to see the General Admission pricing and passes. My family goes to the Carson Valley Swim Center every week! The staff is very friendly and helpful. The swim teachers have helped both my kids become more comfortable in the water and, as a result, they love to swim! The lessons are fun and age-appropriate. 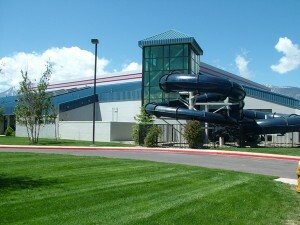 We are so lucky to have Carson Valley Swim Center in our small town. My family will always have memories to cherish. I am a long time swimmer and recognize what a great aquatic facility the Douglas County Swim Center is. There are two excellent pools, the 25 meter inside pool and the 25 yard outside pool. Personally I love the outside pool as there is a magnificent view of the Eastern Sierras. The lifeguards are well-trained and do a great job of keeping keep all of us safe. The entire facility is in excellent condition and there is no better place for your family to enjoy a wonderful day in Douglas County.